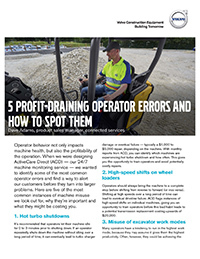 Operator behavior not only impacts machine health, but also the profitability of the operation. When we were designing ActiveCare Direct (ACD) — our 24/7 machine monitoring service — we wanted to identify some of the most common operator errors and find a way to alert our customers before they turn into larger problems. Here are five of the most common instances of machine misuse we look out for, why they’re important and what they might be costing you. It’s recommended that operators let their machine idle for 2 to 3 minutes prior to shutting down. If an operator repeatedly shuts down the machine without idling over a long period of time, it can eventually lead to turbocharger damage or eventual failure — typically a $1,000 to $5,000 repair, depending on the machine. With monthly reports from ACD, you can identify which machines are experiencing hot turbo shutdown and how often. This gives you the opportunity to train operators and avoid potentially costly repairs. Operators should always bring the machine to a complete stop before shifting from reverse to forward (or vice versa). Shifting at high speeds over a long period of time can lead to eventual driveline failure. ACD flags instances of high-speed shifts on individual machines, giving you an opportunity to train operators before this bad habit leads to a potential transmission replacement costing upwards of $20,000. Many operators have a tendency to run in the highest work mode, because they may assume it gives them the highest productivity. Often, however, they could be achieving the same level of productivity in a lower work mode and burning 50 percent less fuel. 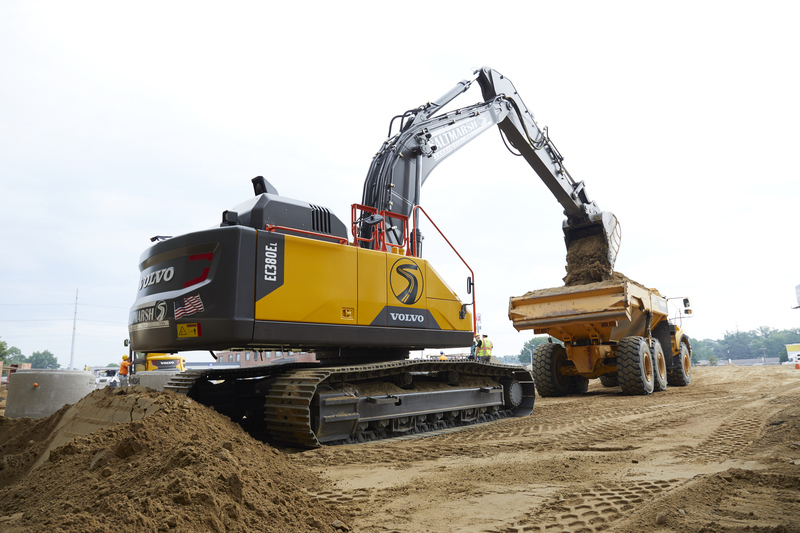 We designed ACD to automatically flag any excavator that runs in Heavy (H) Mode more than 80 percent of the time. By switching to a lower work mode, you could be saving upwards of $10,000 per year, per excavator in fuel costs, assuming 1,500-hour-per-year usage. Some hauler operators tend to ride the brakes, or aren’t adequately trained to use engine braking and the retarder. ACD monthly reports automatically flag those machines and operators who exceed 80 percent service brake usage, helping you avoid costly brake replacement and identify training opportunities for your operators. 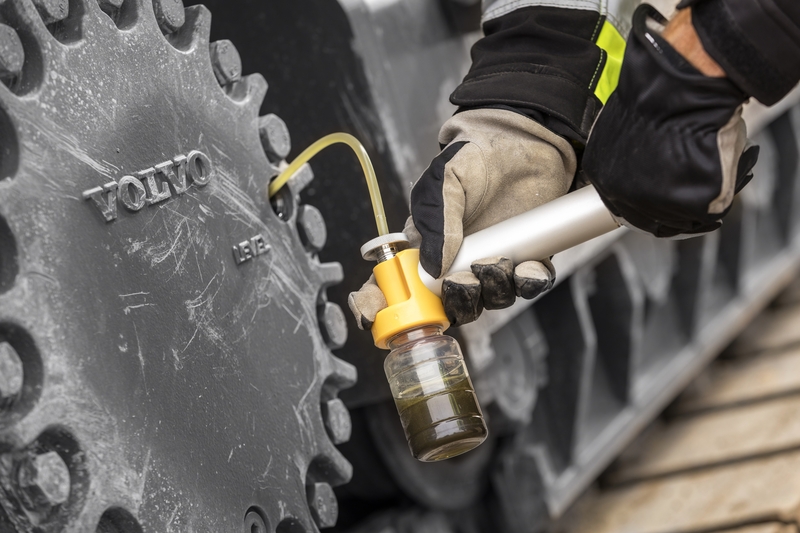 Volvo articulated haulers are designed with differential locks that allow for 4×6 or 6×6 drive combinations. By running in 4×6, the operator saves significantly on fuel and reduces tire wear. Generally, 6×6 should only be used when operating on incredibly difficult terrain. ACD automatically flags any hauler running in 6×6 more than 50 percent of the time. If this helps avoid even one tire change interval over the life of the machine, that could be a potential $25,000 cost savings. These are five of the most common types of errors we look out for in our monthly reports, but on top of that, we also help diagnose alarm codes as they occur and provide you with specific recommendations on what action to take. Our team stays proactive so you can focus on running your operation in the most profitable, productive way possible. If you’d like to learn more about how ACD can help reduce machine misuse, we’d love to hear from you.